It may come to this that you are going on vacation soon and for that matter you need your boat to be transported to a necessary destination point as soon as it is possible. It is truly your lucky day because our company known as Cigisped is just what you were looking for. We offer to every client a transportation service of the yacht to any part of the world, including Europe and Asia. Some people have this misconception that due to the reason that our head office is located in Dubai we are only dealing with local shipping. But to be honest with you it cannot be further from the truth. Our company is proud to say that we are dealing with transportation from all over the globe, to Dubai, from city and in various destinations. I am interested in your company how can I make an offer? Your first step would be visiting our website and filling out the form for clients. You will be asked to tell the model of your yacht, tell us precisely what the size of your boat or yacht is and what kind of transportation you would actually prefer. The other important detail is also to specify whether your yacht is located in the harbor or maybe right now you keep it in your garage. If you are wondering why we need to know about the sizes of the yacht, we want you to keep in mind the fact that according to the massiveness of your motor-boat we will decide in the particular transportation method is more suitable. Right now I am a little short on money, can I order a more budget transportation? By all means you can, we want you to save your money, and to get the best service there is. Please mind the fact that if you will order a cheaper transportation of your yacht there is a great change that it will be time-consuming. So as you can see for those who have a very tight budget to order transportation in advance, probably even in a month before the transportation deadline. As soon as the transportation day will come there is a number of things you ought to do in order to make sure that your boat will be transported safely and without and damage. The very first thing you have to preform is to prepare your precious and very expensive yacht for being transported to any kind of destination that you have mentioned earlier while filling out the form. 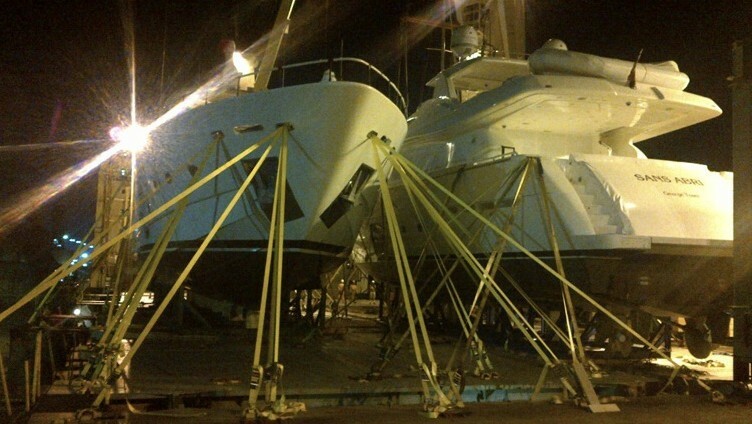 Even if your yacht is not going to be delivered very far you have to make sure it is safe, for being able to handle waves on the ocean and incredibly strong winds. Our clients usually prefer to use a certain type of thick tape in order not to have any kind of leaks. DO not forget that closing a door and all the windows of your yacht is very essential detail. The second step, or better will be to call it precaution that you have to take is to tell us exactly about your vessel`s specs couple weeks earlier before the day of shipping transportation day. We want you to know that we provide our clients with the greatest insurance, so in case any part of your boat will have even a tiniest scratch you will be able to get a financial compensation. Fortunately such situations have never occurred within our company. In addition we want you to tell us the exact and precise measurements of your boat, we need you prepare a space on the deck, or a container. But apart from that the weight of the boat also is going to influence the transportation method that we will assign to your boat, or yacht while being transported. Also it will be important for you to clear your yacht form all the personal stuff and make it as light as it is possible. As soon as a transportation day will finally come you have to give our transporting manager a key to your boat and cover it tightly with a tape, paying a very close attention to the most vulnerable parts that might be broken or damaged through the whole transportation journey. By the way we are sure that your crew is going to take the transportation very well, mainly because while boat is good to go they will receive quite some time for their own and will be able to take a little vacation.